Saturday, July 18 marked the welcome and installation of Majors Caddy to leadership positions in the Western Michigan Northern Indiana Division: Major Glen Caddy as Divisional Commander and Major Carole Caddy as Director of Women’s Ministries. Nearly 100 Officers and friends attended the event held at Little Pine Island Camp, including Commissioners Paul and Carol Seiler. 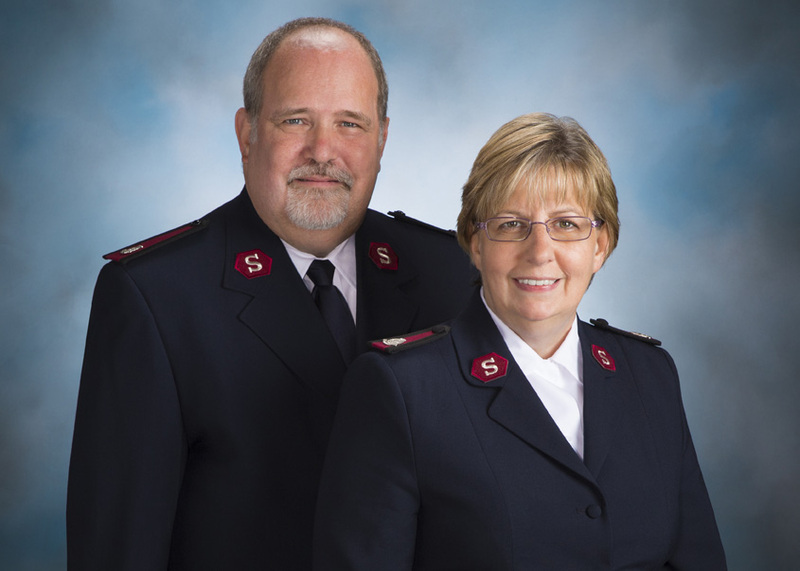 Majors Glen and Carole Caddy have served 36 years as Salvation Army officers. Major Glen Caddy became active with The Salvation Army through volunteering efforts while a college freshman. Major Carole Caddy became involved with the Army through its music and youth programs. The Caddys met while working on camp staff at a Salvation Army Camp. The Caddy’s ministry has included leadership of Corps Community Centers in Illinois, Wisconsin and Michigan. They served as Divisional Youth Leaders in St. Louis, Missouri and Divisional Secretary and Women’s Ministry Secretary in Grand Rapids, Michigan. In addition, the Caddys fulfilled leadership and senior teaching responsibilities for the College for Officer Training in Chicago, Illinois. Additional administrative appointments have included working in program development and officer recruitment activities at Territorial Headquarters in Des Plaines, Illinois. Since 2013, the Caddys have served in leadership roles in Wichita, Kansas. In these roles, they worked with the community at large as well as the local Advisory Board to grow and improve the services and facilities to better serve the community. The Caddys have two adult children and three grandchildren. Glen and Carole enjoy walking, camping, travel and cruises, and spending time with family.